These pictures show examples of marquetry I have created. Marquetry is the art of cutting wood veneers to form an image. It can be used to decorate furniture. Different methods exist for creating marquetry. I use the double-bevel method, which allows more detailed images than other methods. Although there are automated/laser-cut methods for marquetry, all my marquetry work is done by hand. The Koi Pond Coffee Table features a pond of marquetry within the table of koi swimming amongst lily pads. The Union Jack Pub is part of the Inn at Vint Hill in Vint Hill, Virginia. I renovated their bar several years ago. This marquetry work is part of the bar top. The Shadowbox Coffee Table has a center panel that can be done in marquetry with the emblem of your choice. This panel is the 1979 class crest for the US Air Force Academy. Darren Booth is a collage artist. 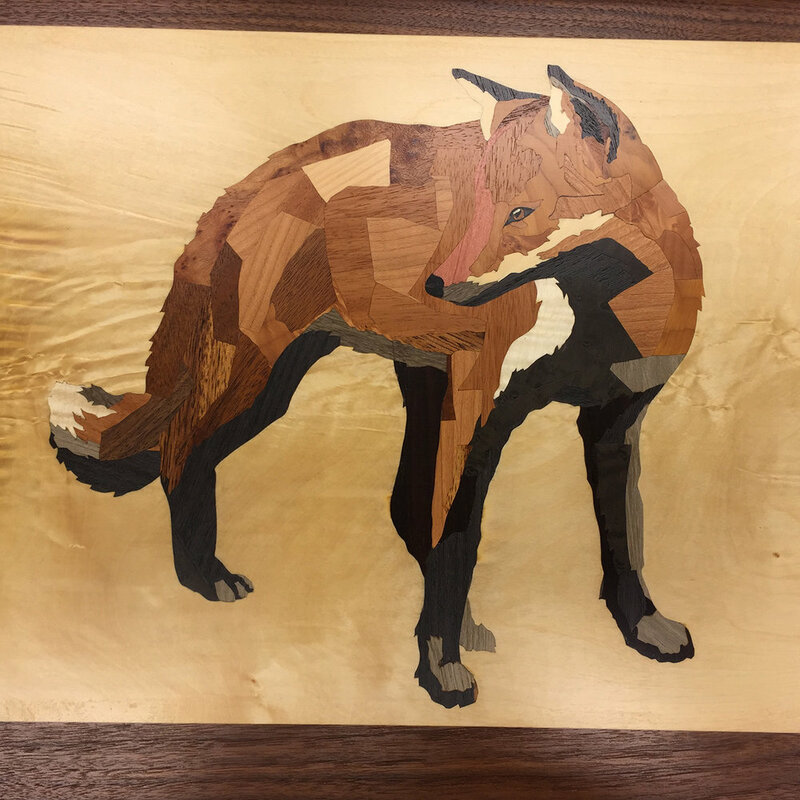 He created an iconic fox image that I thought would look excellent in marquetry. With his permission, I made a serving tray featuring this marquetry. 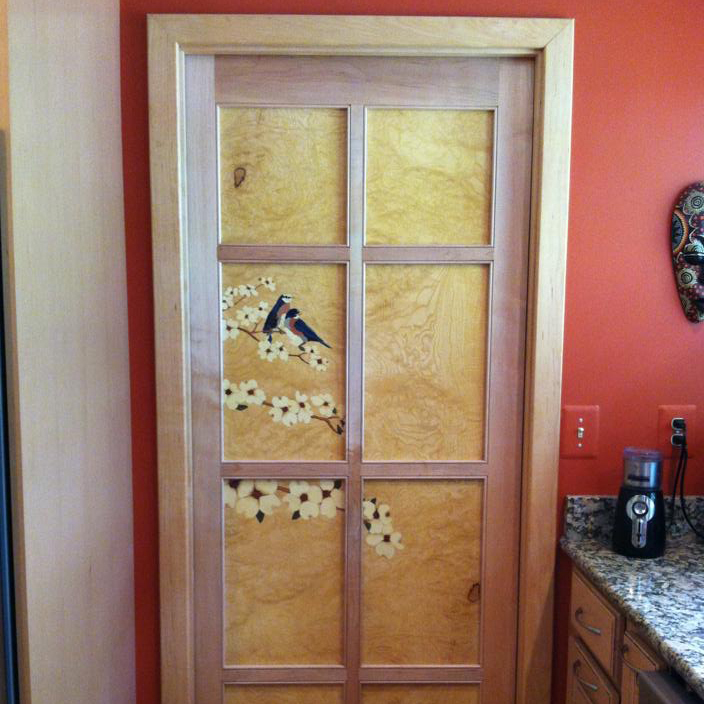 This is an 8-panel solid wood door I made for a home in Annapolis, MD. The panels are maple burl with a pair of bluebirds perched on dogwood branches. Marquetry work of a beloved hound.